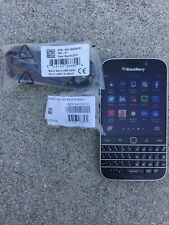 eBay UNLOCKED Blackberry Classic Q20 Verizon 16GB 4G LTE QWERTY SMARTPHONE. RIM BlackBerry OEM (Black Opaque) Silicone Skin Case Cover for BlackBerry PlayBook Retail Package (ACC-39313-301) Product Description Keep your BlackBerry PlayBook tablet in top-notch condition and show off your personal style with a BlackBerry Skin. This soft, textured silicone shell protects against accidental bumps or scratches, and keeps your BlackBerry tablet in place whether you've set it down on a slick surface or you're typing away at full speed. It's easy to change back and forth between colors to suit your mood, and the custom design gives you access to all the features on your BlackBerry tablet-including the camera, ports, and keys. Use it with the BlackBerry Zip Sleeve for another layer of protection when you're on the go. Soft inner lining Handcrafted, genuine leather Designed for Blackberry Classic Product Description: The BlackBerry Classic OEM Leather Pocket is handcrafted out of genuine leather with a soft interior lining and it helps protect your BlackBerry Classic from bumps and scratches. It also recognizes settings and preferences, and power saving technology works to help extend battery life. 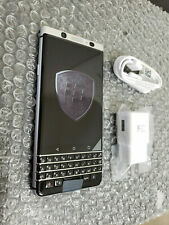 eBay BlackBerry Torch 9810 - 8GB - White (AT&T) Smartphone - New Open Box! Flexible and built to last, this Miami Hurricanes Blackberry Curve Mascot silicone case has openings for unrestricted access to the charging dock and all Blackberry controls including volume control, silence button, headset jack and camera lens. This Hurricanes Blackberry case features a soft, pliable silicone outer shell with full-color team graphics, making it a functional yet fun way to show off your team spirit. Wear your PRIV at the hip with this Leather Swivel Holster from BlackBerry. This protective case is made of hand-crafted Nappa leather that's designed to create a classic look and feel. The Hip Holster features power saving technology, so you can be sure your BlackBerry PRIV will stay charged throughout your day. The Holster's 360° rotating clip and secure magnetic flap give you a choice of wearing it how best suits your needs.